NORMAN " WIZARD " SMITH . DJ Harkness was made an honorary Associate of the musem of Applied Arts and Sciences in1968 for services rendered to the Museums Department of Transport and Engineering . 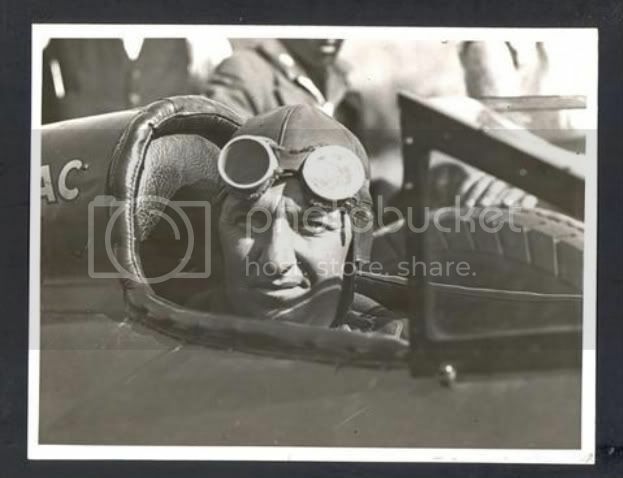 He donated many motoring and Aviation objects , provided the Museum with many valuable contacts in the fields of motoring and aviation and assited in the fields of restoration of the Museum's Australia Six car and Bleriot monoplane. MR. Harkness died on 11 November 1972. PS These artifacts and prints are at the Powerhouse Musem & there is probably more . It would be worth a personal search of this Museum to see what else can be uncoverd . STARTED This post with the heading NORMAN "WIZARD " SMITH and soon wonder'd of the primary subect . SMITH, NORMAN LESLIE ( 1890- 1958) was born on 13 July 1890 at Enfield, Sydney, ninth child of native -born parents William Smith and his wife Cecilia, nee Kennedy, Bought up on a farm at Richmond. His knowledge of the motor industry started at the Phizackerley motor car importers where he was apprenticed as a mechanic. at 21 years of age he married Harriett Ann Russ. at some time he worked as a salesman in Brisbane for the Queensland Motor Agency before swithing to Sydney and working for Dalgety & Company, agents for Hudson and Essex cars this was about 1920. NORMAN'S STORY still needs more searching. But I do know that Don Noble has found some literature that that will hopefully full in some of the gaps.He tells me the paper work is in poor condition & will take time to sort & write up . An interesting read it should be. I promised this a while back . It came from an NZ magazine called Northlander in 1977 . I have taken the liberty to edit it . Two Australian racing drivers , Norman "Wizard" Smith and Don Harkness combined to build a car to attack the world land speed record , and would use the Ninety mile beach in NZ . Wizard Smith had specialised in town to town records on open roads in Australia and NZ . Harkness was an engineer who as a race driver in a stripped down and tuned Overland won the 1st race held on the murderous Maroubra speedway in Sydney .Harkness built a special car to go for a $100 silver cup for the 1st car in Australia to top 100 mph . The left picture is in the Rolls Royce Derby factory assembly room in 1919. It is early in the development of the eagle engine, the engine went from development numbers 1 through to 9 ,I thought the "ANZAC" was fitted with the Eagle 8 which had 300 horsepower. so at 360 horsepower it must have had the Eagle 9 ,unless Harkness & Smith had had their magic fingers in it. Note: in the right picture overhead camshafts with exposed valves . They certainly were brave souls that flew those things. i learnt quite a bit about Wizard Smith because ninety mile beach is my spiritual home (grandfathers grandfather is buried on the top of the mountain at Ahipara) and when i lived in Doubtless bay at mangonui ,one of my Customers was Former Wheels Editor Steve Simpson . Steve had retired to live the 'good life ' in New Zealand's Oruru Valley in the far north back in the 70's . Steve had met Wizard Smith in Sydney in 1958 and commissioned renowned motoring journalist Pedr Davis to write a two part history of Smith, (Wheels, March and April 1958) . What Steve and Davis noted,and Alan Gibbons ,another wheels writer who Steve sent to interview Smith, was that Wizard Smith was very reluctant to discuss any part of the Adventures in New Zealand. So when he retired to live in NZ and suffering fqailing eye sight,Steve Decide the time was right to find people who may have known Wizard Smith and had first hand knowledge of the attempts ( two different cars at two different times) . The Up shot was, Steve Discovered thast there is a love of history in NZ and that the locals were only too happy to show him where the car was based and many photos etc were discovered ( I found a previously unknown pic [press photo] on Ebay a couple of years ago in the US, the seller had o idea what so ever of the subject..LOL) . With his obvious skills and new found knowledge Steve Wrote a very good book on Smith ," the real Story of Wizard Smith "
I have my first copy still , but i have seen copies on Amazon though. it fills in a lot of the Speed trials in Australia ,not only Wizards attempts in New Zealand. I must say though,that having driven on Ninety Beach a lot back when i lived in NZ ,it's a dangerous place to Drive and totally unsuited for speeds above 60KMH. Wet spots appear in odd places and more than a few people have been killed on motorbikes when they hit these invisible quicksand patches at speed. There is also a tank under the sand close to Where Smiths base was,a WW2 army tank which was lost when doing some exercises during the war. In the 1930's there was car club which ran races from Mangonui to Ninety mile beach ,a short drive today but back then it was real adventure . The race cars were mostly model T Ford Chassis, AKA 'Speedsters' . But ,if Don gets a copy of the book,he will recognise a lot of the places in the book ,mainly because things never changed much in the north for decades. Penny for ya thoughts Norman. Thank You for that Inormation Graham. Story has it... That the chassis was buried in one of two slaps of concrete, but I'd hoped not.! Sounds like you may have have had a bit of a motoring past and some old grease under your fingernails, any time you care to share some stories, your welcome here. Right here in south australia are TWO wizard smith essex replicas. The attention to detail on these is impeccable, i should know, i worked on one of them. They are both copies of the 1922 essex intercity record holders, one is the first essex raced and the second is a copy after the brooklands racing bits were fitted. The car pictured is owned by Graham Herde of Port Augusta. Rebuilt out of two wrecks and a lot of cardboard boxes back in 1990. The car is still going strong and is an absolute delight to drive. Graham was on holiday in New Zealand and picked up a biography of wizard in a second hand book store. The story captured his heart so when the opportunity arose to purchase two 1920 essex 4's, the end result was already decided. The car is still in use, just had a new radiator fitted. Doesn't get driven much these days but still occasionally pokes its head out of the shed. It is a very powerful car considering it's age. Brakes are external bands on the back wheels so that tends to temper your behavior however it will cruise at 90 comfortably with a bit in reserve. Has done the Bay to Birdwood, displayed at birdwood museum. Graham has sold a few cars recently, only to make way for current projects. These include a Singer 9, couple of Chev 1928 Capitol tourers, very early bambino..........Cars sold include 1958 Mercedes Ponton(CKD aussie built) and a 1949 Fiat Berlina. The second car is the later version and is owned By Jim Scammell. You can see his regularly competing at the Collinsgrove hillclimb. Oh yeah, Graham is my Dad, passion for working with his hands. This car will stay in family hands. Just thought I would share that the legend of wizard smith is not forgotten. He will live on. My surname is Harkness --- don't think I am related but can pretend I am as party chat !!! Picked this copy up for $9.00 at our local newsagent's "book clearance table" today. 3 or 4 more copies there so I will look again in the morning if anyone (other than "Old Timer") is interested. Cookey, if you do go back I would love a copy, please!